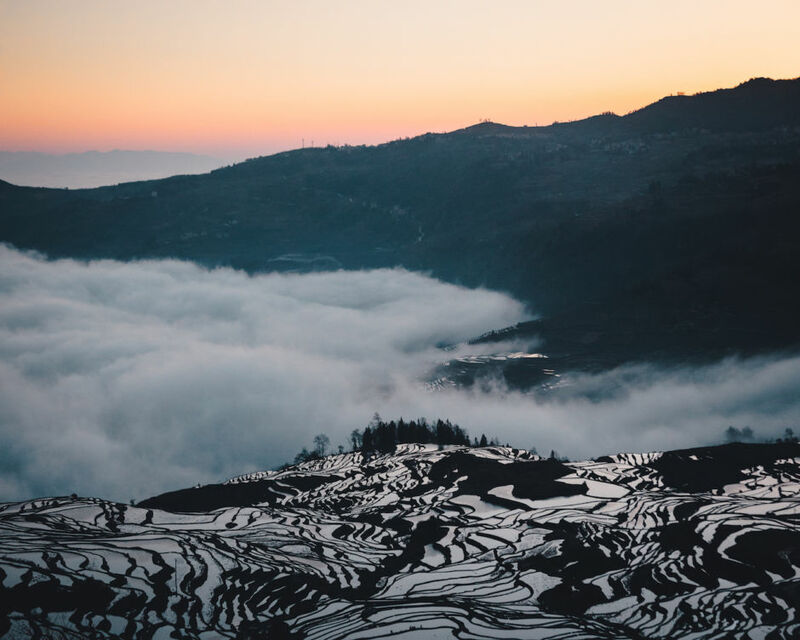 During my first trip to China, I made my way straight to the depths of Yunnan to explore the rice terraces of Yuanyang for a week. Here are some of my favorite shots from the trip. 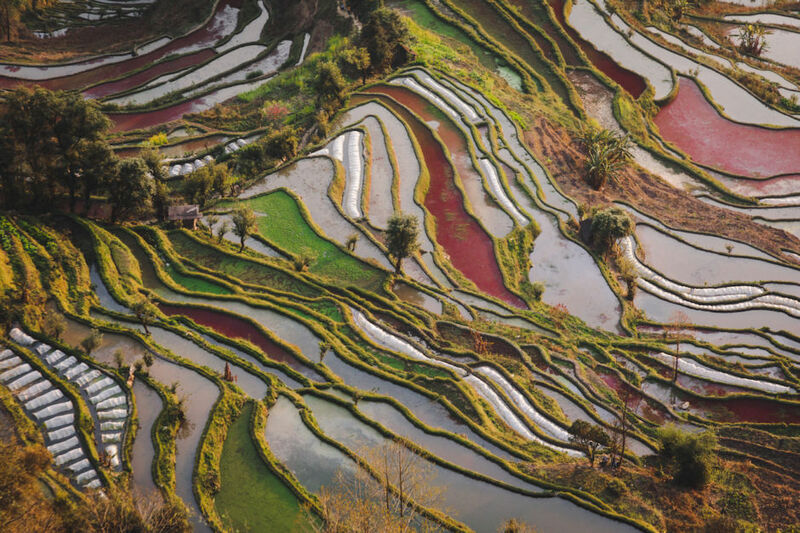 Bada is the most famous of all the rice terraces in Yunnan. The area is the best to catch the famous multicolored sky reflection if you are there in the right season. 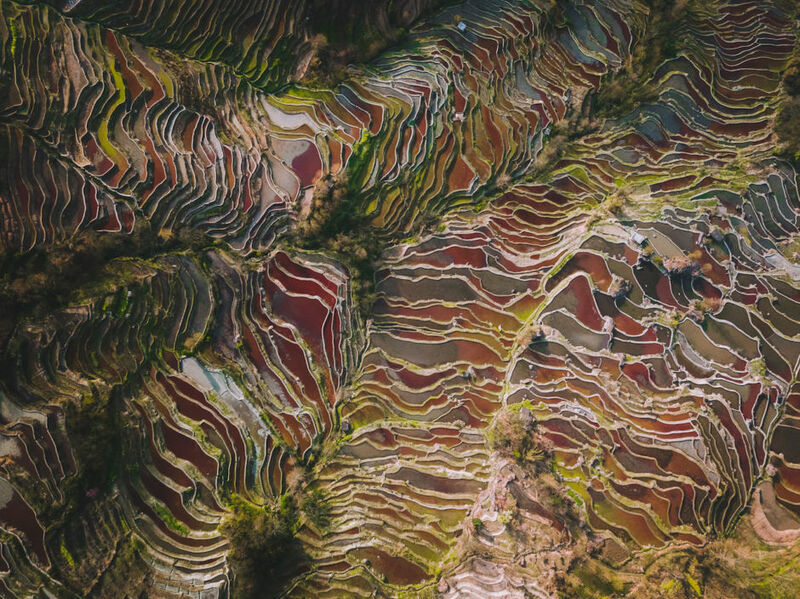 The rice terraces of Yunnan, forged by the Hani people thousands of years ago, are a fascinating area of China to visit. 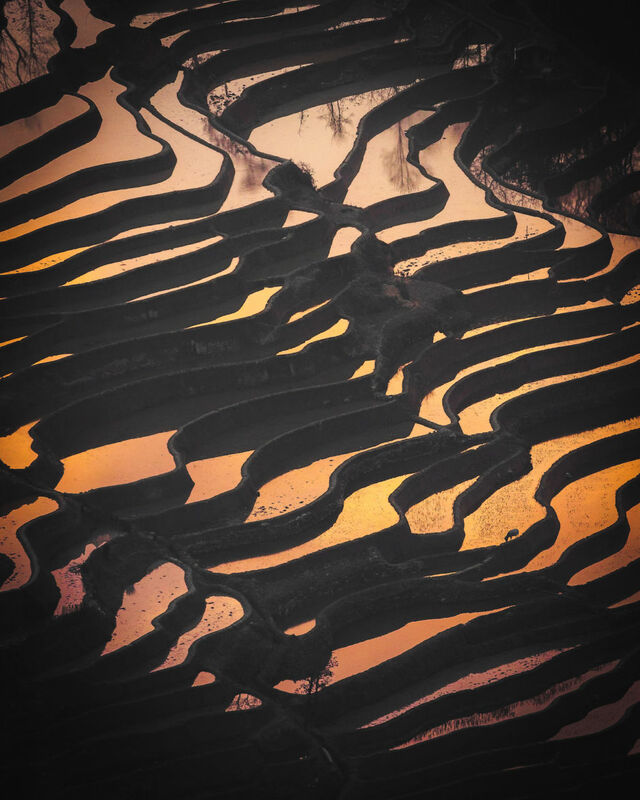 Catching the sunset over Bada will make you doubt your eyes as these terraces seem to span forever. 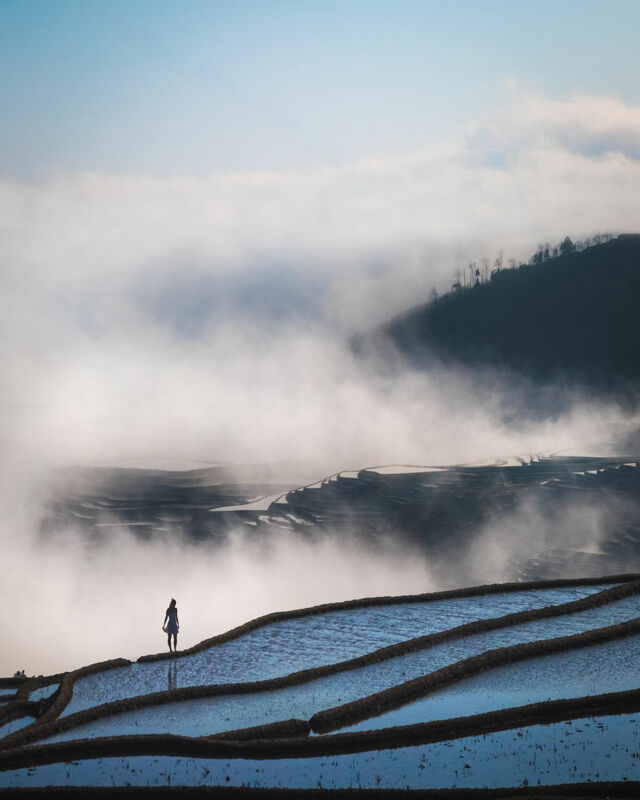 During the summer months, the terraces are filled with rice, but autumn is harvest season. The local farmers use water buffalos to harvest the rice and I was lucky enough to catch this one in action. A favorite spot of mine, Duoyishu has some magnificent sunrises. Occasionally, a sea of clouds will roll over the hills and down the valley below. 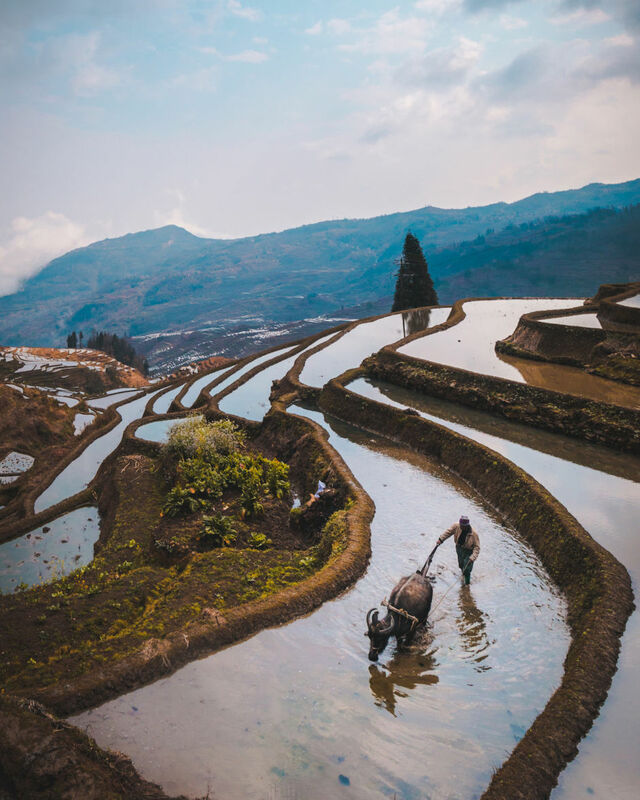 Many tourists visit Yunnan for the hiking opportunities. 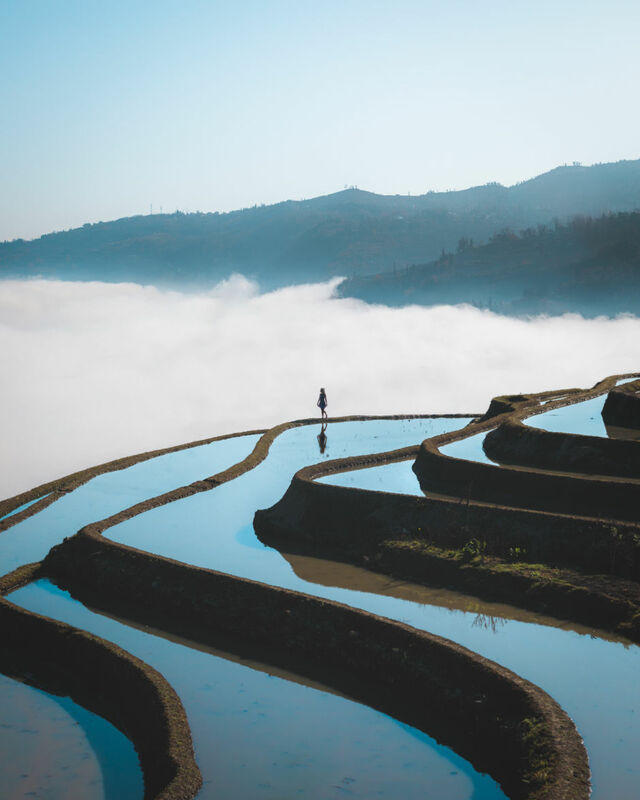 Here, you can walk among the rice terraces using the routes only the locals know about. A 45-minute drive from Duoyishu, Laoyinzui is a lesser-known terrace area but also one of my favorite ones. 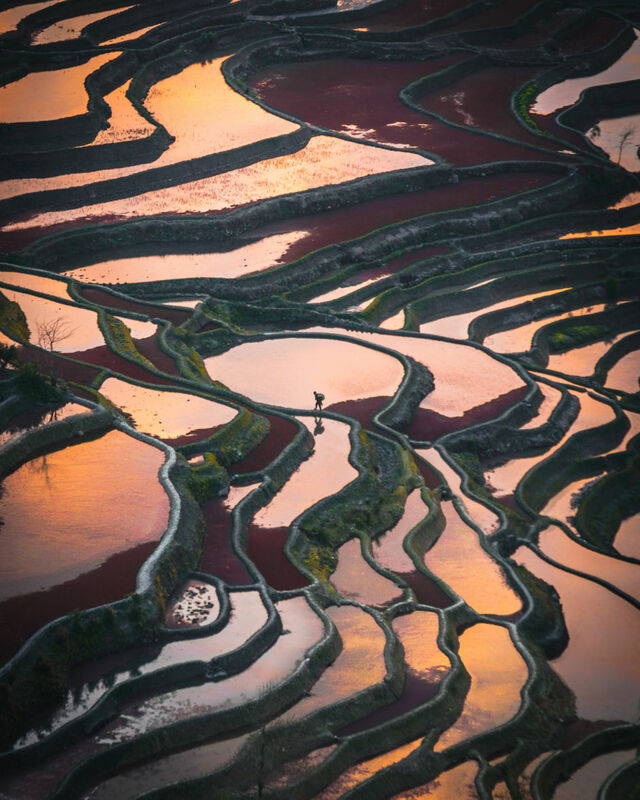 The red duckweed fills some of the terraces, while the others reflect the clouds as if they were mirrors. 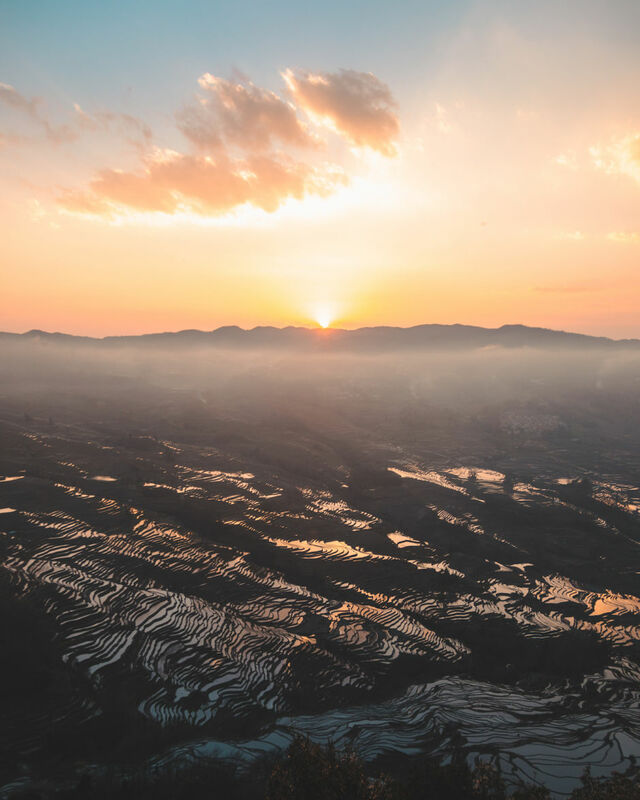 You can’t ask for a better sunset over Laoyinzui. Despite the difficulty in trying to find a taxi that would take me back to the hotel afterward, I would do it all over again. 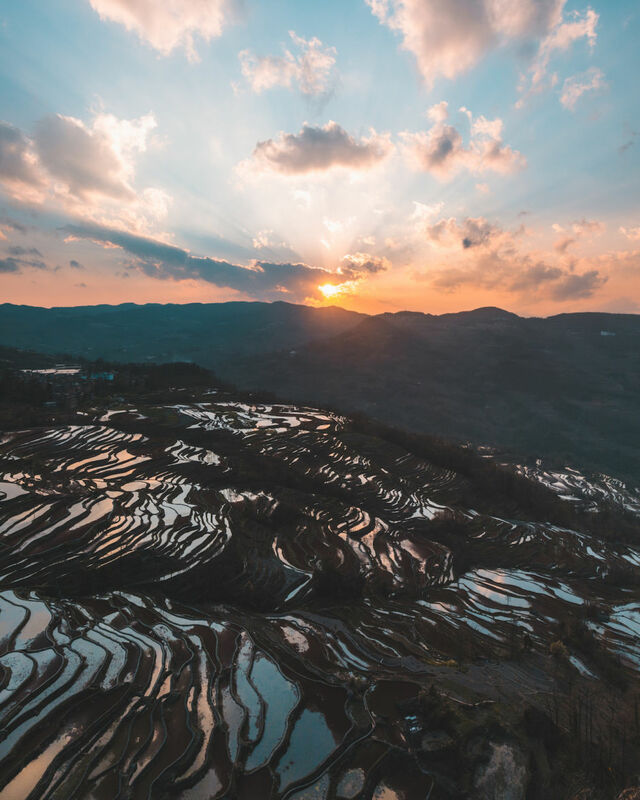 The terraces of Laohuzui are at their best during sunset, and the incredible view over the valleys make the long steps down totally worth the effort. When visiting Yunnan, try to base yourself in Duoyishu. It's within easy access to most of the main viewpoints and has great hotels and restaurants. Duoyishu also has morning views such as this, one just a few steps from the center of the village. This is the view of the Bada terraces when I visited them for the first time. The water reflected the sky perfectly, making this shot one of those moments where you feel you’re looking at a painting.